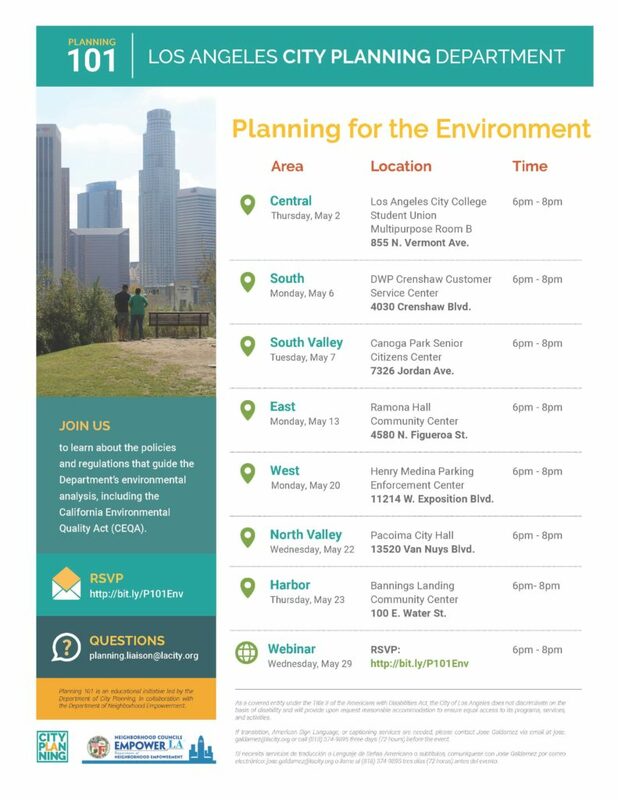 The Los Angeles Department of City Planning is pleased to announce its next installment of Planning 101 trainings to be held throughout the month of May. Participants will learn about the role the City and its residents have in planning for the environment and the regulations that guide environmental analysis, including the California Environmental Quality Act (CEQA). There will be seven in-person trainings held across Los Angeles, in addition to a webinar. For any questions, contact planning.liaison@nulllacity.org.